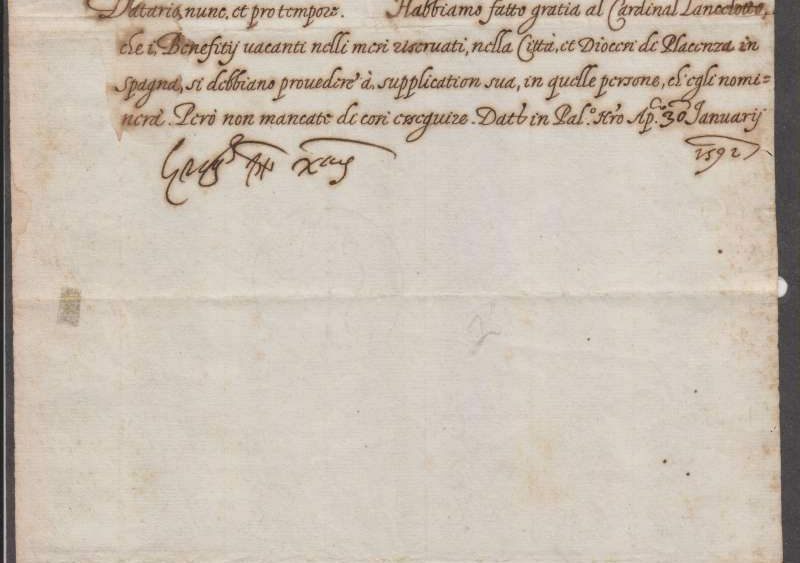 This is an untranslated 8 X 11 papal letter assuring Cardinal Lancelotti that all vacant posts in the city and dioceses of Piacenza will be filled by the persons suggested by Pope Gregory XIV. 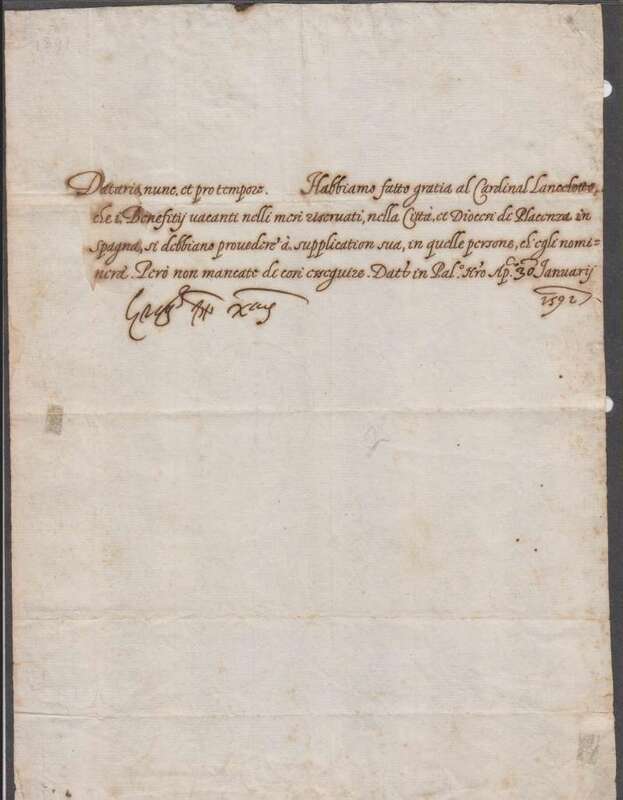 The letter is in very good condition with some minor folds and toning due to age. The letter is signed Greg.s pp XIV. Any item signed by this pope is a legendary rarity due to the short duration of his reign. 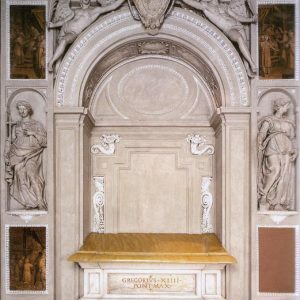 Niccolo Sfondrati was born near Milan on February 11, 1535, the son of a Milanese senator whose mother died in childbirth. Upon her death, the senator became a cardinal and was himself considered a possible choice for the papacy during the conclave of 1550. Niccolo studied law at Perugia and Padua and then entered the service of St. Charles Borromeo. In fact, he presided at Mass when Borromeo died. He was also a great friend of (Saint) Phillip Neri and tried to model his own life after this pious man. Pope Pius IV made him bishop of Cremonia in 1560 and the following year he attended the last sessions of the Council of Trent. He was attentive to the decrees of the council, being particularly heedful of the directive to reside in his own diocese, a practice not adhered to very strictly before Trent. Even when made cardinal by Pope Gregory XIII in 1583, Bishop Sfondrati remained in his diocese, going to Rome only when necessary. 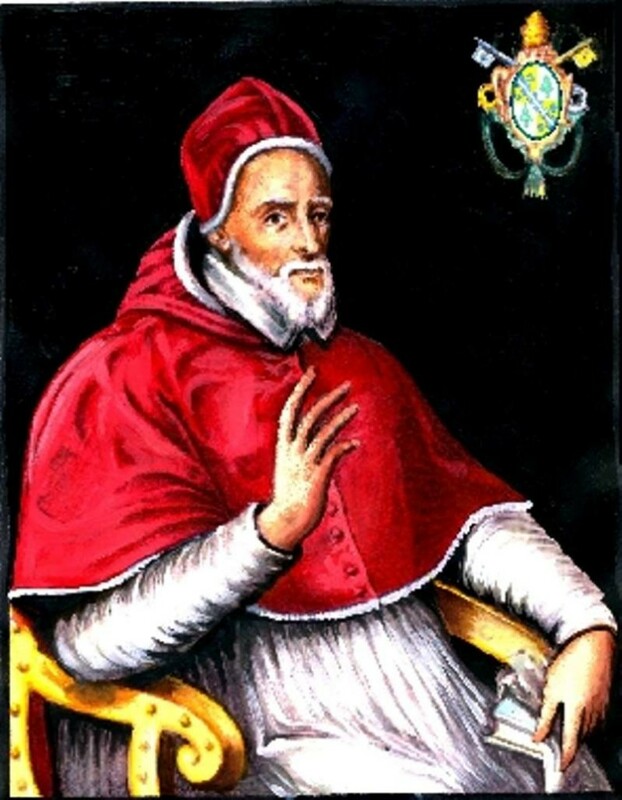 The conclave that elected Gregory XIV was marred by Spanish interference. Henry of Navarre, a French Protestant, had been rapidly gaining ground in France and Philip was determined to have a Pope who would deal sternly with him. His influence was so great on the conclave that it was certain that one of his seven choices would be elected. Because of their resentment of Phillip’s influence and power, the cardinals took over two months to elect Niccolo Sfondrati on December 5, 1590. It is said that he burst into tears when elected, exclaiming to the cardinals, God forgive you! What have you done? His papacy lasted less than a year. Although a man of deep spiritual piety his health was poor and he had no experience in political and diplomatic affairs. The choice of his nephew as his secretary of state proved to be a major mistake as well, as he, too, though pious, was inexperienced in worldly affairs. His predecessor, Pope Sixtus V, had a somewhat more conciliatory attitude towards the complex French situation. Gregory XIV was convinced that the Spanish presence and the French League to which they were connected were the surest way to have a Catholic presence ruling France. Moreover, Gregory sent money and even a papal expeditionary force to aid in the fight. All of this was to no avail as it only led moderate supporters to Navarre’s defense. In Rome, plague and famine ravaged the people. Pope Gregory did all he could for them. Ecclesiastics from cardinals to simple religious worked to care for those stricken. It was at this time that (Saint) Aloysius Gonzaga died caring for the plague-stricken people. Gregory XIV, though ill at ease in political affairs, was interested in all types of reform projects. 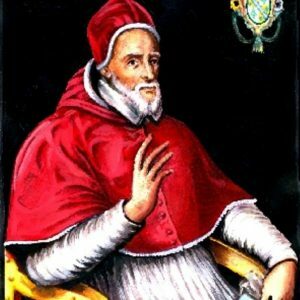 He created five cardinals, approved religious congregations, forbade under pain of excommunication all bets concerning the election of a pope and ordered reparation to be made to the Indians of the Philippines by their conquerors and commanded anyone enslaved there to be set free under pain of excommunication. He appointed commissions to continue the revision of the breviary and the Sistine Bible. Because of the shortness of his papacy he had little time to accomplish much. He died of complications of gallstones on October 16, 1591. 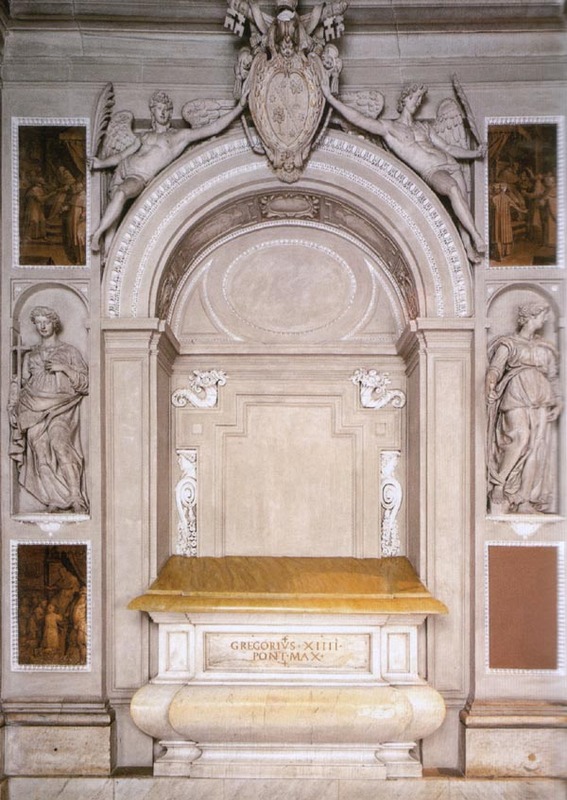 Pope Gregory XIV is buried in Saint Peter’s Basilica.